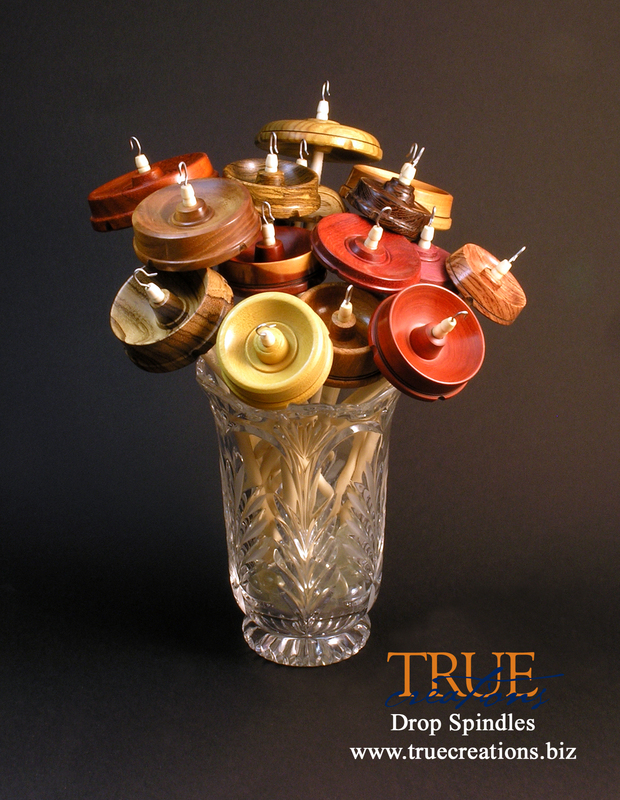 designs feature the natural beauty of the exotic woods we use for our whorls. color and density. Whorl woods depend on availability which is always changing. not cut in the whorls on bottom whorl spindles. the owners convenience. This eliminates the "I can't remember what wood this is"
if you like to put a S or a Z twist into your fiber. wobble from a misaligned hook. Wholesale inquiries - click here. Retail customers - click here. see samples of some of the whorl woods we use.